Before you and your family decide to borrow from a private lender we recommend you consider scholarships, grants, and federal student loans first. To determine if you are eligible for federal and state aid file the Free Application for Federal Student Aid (FAFSA) each year. Often a student is eligible for some types of aid that do not need to be repaid such as federal and state grants and scholarships. 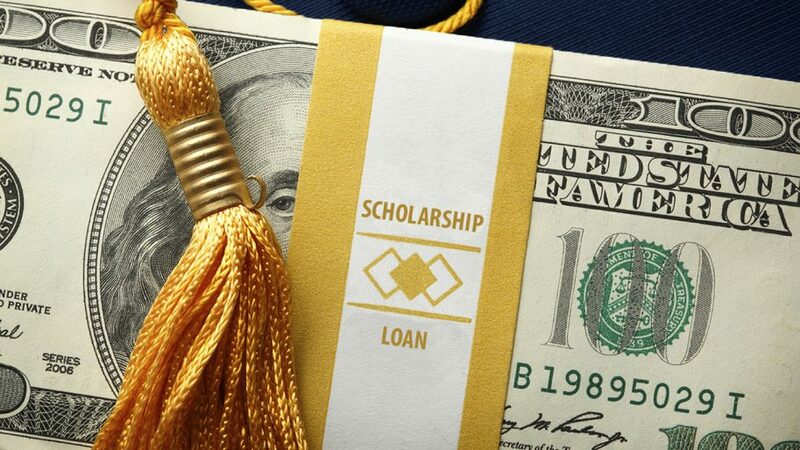 In most situations it is also possible for a student to receive some type of Federal Stafford Student Loan. Stafford loans often have better interest rates and more favorable repayment and loan forgiveness terms than private alternative loans. A PLUS loan may be available to your parents which also have better repayment terms and often lower interest rates. Note: If you are not enrolled for at least six credit hours, be sure to choose a lender that does not require you to be enrolled at least half-time. Lourdes University has a private education loan selection tool that provides basic information on private education loans and detailed listings of the various interest rates borrower benefits, fees and repayment options established by several private lenders. Learn more about FASTChoice. Federal Direct Stafford Loans are offered by the federal government to assist students in paying for their educational costs. These loans are in the student’s name, and the student is responsible for repaying them 6 months after graduation, or after dropping below half-time enrollment. The U.S. Department of Education is the lender for the Federal Direct Stafford Loan Program. How Do I Receive a Federal Direct Stafford Loan? The Lourdes Financial Aid Office will automatically award Federal Direct Stafford Loans to all eligible students when a FAFSA is completed. Students must accept the loans on their Web for Students account (or return their new student award letter) in order for the loans to be processed. You must complete a FAFSA each year. You must be attending at least 6 credit hours during any semester to be eligible for Federal Direct Stafford Loan funds. The first time you borrow a Federal Direct Stafford Loan, you must complete Entrance Counseling and a Master Promissory Note (MPN). Your loan funds will not pay to your account until both are completed. Please go to www.studentloans.gov to complete both requirements. Sign in using your federal PIN. This is the same PIN you used to sign your electronic FAFSA. Click on “Complete Entrance Counseling” and follow the steps. Move on to “Sign Master Promissory Note” and complete all items. Lourdes is notified that you have completed the Entrance Counseling and the Master Promissory Note. These will be kept on file and should be good until you graduate. Federal Direct Stafford Loans can be subsidized and unsubsidized. The government pays the interest on the loan while the student is enrolled at least half-time and deferment periods. Subsidized loans are awarded based on financial need. This is determined by a student’s FAFSA. Interest begins accruing (accumulating) immediately when the loan funds are paid to Lourdes University. You can pay the interest while you are in school, and during grace periods and deferment or forbearance periods, or you can allow it to accrue and be capitalized (added to the principal amount of your loan). How much can I borrow in Federal Direct Stafford Loans? There are limits on the maximum amount of Federal Direct Stafford Loans you are eligible to receive each academic year (annual loan limit) and in total (aggregate loan limits). Parents of dependent students can apply for a Federal Direct PLUS Loan to assist their child in paying for college expenses. PLUS loans are packaged to cover the full cost of attendance, including living expenses and other indirect costs, minus other offered aid. You may wish to reduce the amount for which you apply, especially if your child is not living on campus. These loans are in the parent’s name and the parent is responsible for repaying them. Parents must pass a credit check, (must not have an adverse credit history), to be eligible for the Federal Direct PLUS loan. If a parent is denied for the Federal Direct PLUS loan based on credit, the student will automatically be awarded an additional $4000 (freshman or sophomore) or $5000 (junior and senior) in Federal Direct Unsubsidized Stafford Loan funds, which is the amount an independent student can borrow. How Does My Parent Receive a Federal Direct Parent PLUS Loan? You must be attending at least 6 credit hours during any semester to be eligible for Federal Direct Parent PLUS Loan funds. Your parent will need to sign in with their FSA ID. If they do not have this information, they can go to FSAID.ed.gov and retrieve it. The results of your credit check will be available immediately. The Lourdes Financial Aid Office will receive an electronic notification of your credit check results within 3-5 days. If approved for the PLUS loan, your parent must complete the PLUS Loan Master Promissory Note (MPN) at www.studentloans.gov and will need to log in with their FSA ID. Select to complete the PLUS Master Promissory Note and follow all steps. Repayment, Deferment, and Consolidation of PLUS Loan – Contact Direct Loan Servicing at 1-800-848-0979, or visit the Federal Student Aid website. Graduate students at Lourdes University may borrow a Federal Direct PLUS Loan for Graduate Students to help cover their education expenses. Graduate students should only borrow Direct PLUS Loans if additional funds are needed after borrowing all available Federal Direct Stafford Loans. Students must pass a credit check (must not have an adverse credit history) to be eligible for a Federal Direct Graduate PLUS Loan. Students in the MBA and NAP programs will automatically be offered the Direct Graduate PLUS Loan up to their full cost of attendance, including living expenses and other indirect costs, minus other offered aid. Other graduate students interested in the Direct Graduate PLUS Loan should contact the Financial Aid Office to check on their eligibility. Go to www.studentloans.gov to complete the Direct PLUS Loan Request. Sign in using your FSA ID. If you do not have this information, visit FSAID.ed.gov to retrieve it. Complete the request information as indicated. Continue until you receive confirmation that it is complete. The results of the credit check will be available immediately. The Lourdes Financial Aid Office will receive the results of the credit check in 3-5 days. Select “Graduate PLUS” for the type of loan you would like to receive. Complete the MPN. Be sure to submit it at the end and receive confirmation that it is complete. ** By signing the MPN, you agree to allow the Department of Education to check your credit history. The Nurse Education Assistance Loan Program (NEALP) provides financial assistance to Ohio students enrolled for at least half-time study in an approved Ohio nurse education program. NEALP provides funding for nurses who intend to serve as instructors as well as students who intend to serve as nurses after graduation. For more information or to complete the application online, please visit the Ohio Department of Higher Education (formerly known as the Ohio Board of Regents) website. Please note: you must be formally admitted into the Lourdes nursing program. Private Loans are loans that a student can apply for in their own name. They come from a private lender, such as a local bank or credit union, or a national lender. Often these loans require a co-signer because approval is based upon the credit-worthiness of the student. Unlike Stafford and PLUS Loans, private loans are not federally guaranteed and have different interest rates and repayment terms. These interest rates are determined by your credit score, and that of your co-signer if you have one. Some of these loans may also require that interest payments be made while the student is still in school. The benefits to a private loan are, if approved, you can take the necessary amount needed to cover your balance or cover living expenses. You can also, in many cases, borrow a private loan if you are attending less than half time (less than 6 credit hours). Please make sure to check that you have exhausted all of your federal student aid resources before applying for a private loan. If you are interested in applying for one of these loans, please visit the Private Loans page. You will be redirected to Fastchoice.com, which is a service provided by Lourdes to assist you in researching private loan options and lenders. Please contact the financial aid office if you have any questions regarding private student loans.